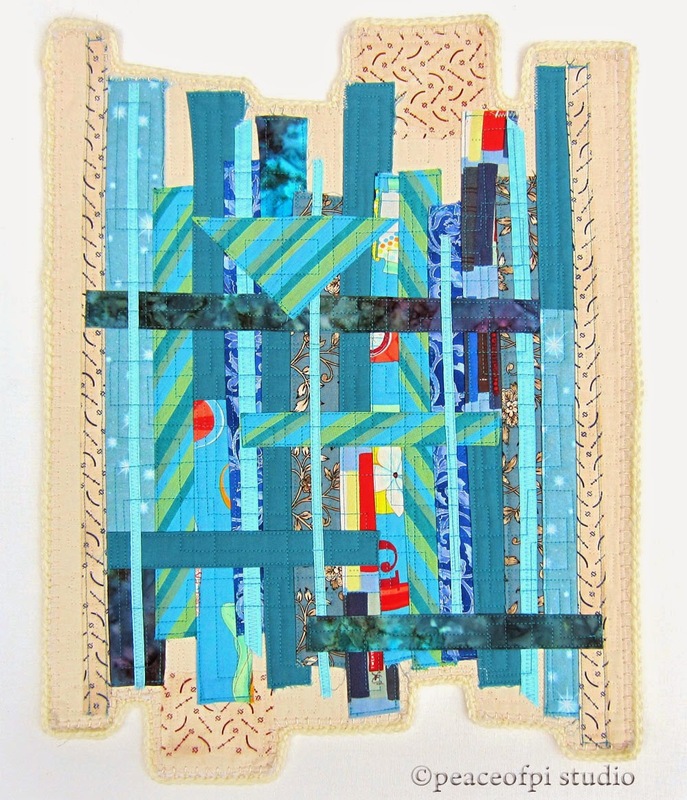 A study of color and line, Linear is an abstract Art Quilt. In shades of blue and turquoise the quilt has horizontal stripes intersecting with the uneven vertical stripes creating movement and energy. The off-white background is accented by a simple yarn border created in crochet for a bit of touchable softness.